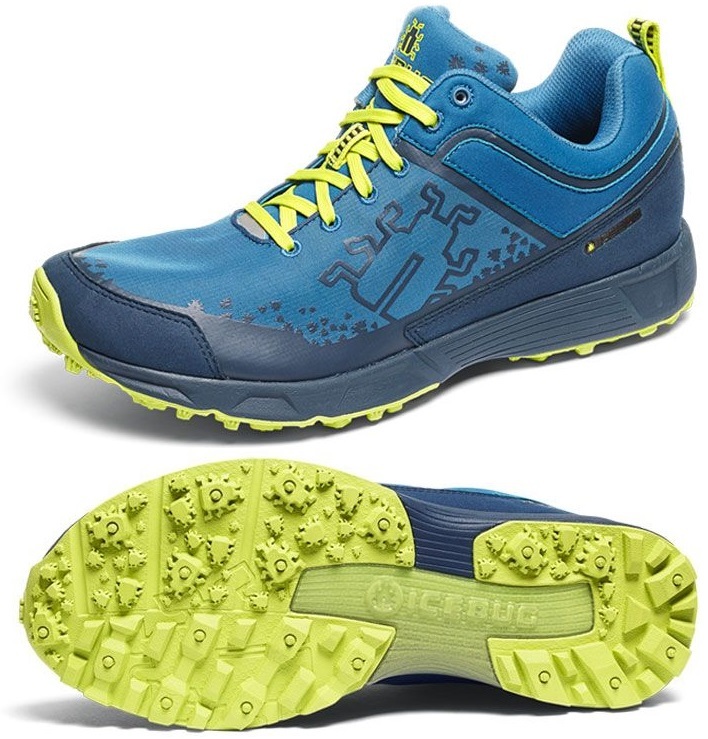 ICEBUG KAYI RB9X TRAIL SHOES REVIEW | LEADER OF THE TRACK. The Icebug Kayi RB9X® is the perfect distance trail running shoe for both recreational and distance runners. The 12mm drop ensures that you are given an excellent level of comfort due to the shoes cushioning which is perfect for support. The shoe also features padding in the collar and the tounge of the shoe to ensure the surface of your foot is comfortable, especially when you tie up your laces. The Kayi’s also feature a ripstop nylon upper which is both durable and repels water keeping your feet dry, especially on those wet, rainy days when you run through puddle after puddle or through a shallow creek in your long trail run. The upper has hidden TPU straps that secure the position of the foot. The Kayi’s also feature a Dual Density anti-pronation midsole suitable for those that wants a bit more support from the shoe. The RB9X® outsole provides superb friction even on wet surfaces, yet it matches the durability of an asphalt running shoe. All these features make the IceBug Kayi’s the perfect distance trail shoe because of it’s comfortability, durability and support. Head to the IceBug Australia website to purchase these stella trail shoes. For people who craves a anti pronation midsole, runs a couple of times a week or for long distance running where comfort is the key. Perfect for both trails and city running.